Happy Monday! : Memory Monday February 20, 2107. What a glorious weekend we had here in Sandbridge. Temperatures were in the 70’s this past weekend and the sun was shining brightly making us all look forward to an early spring and of course the upcoming summer season! It is a great time to consider a quick getaway to Sandbridge this coming week as temperatures as expected to be in the 70’s again by this coming weekend! 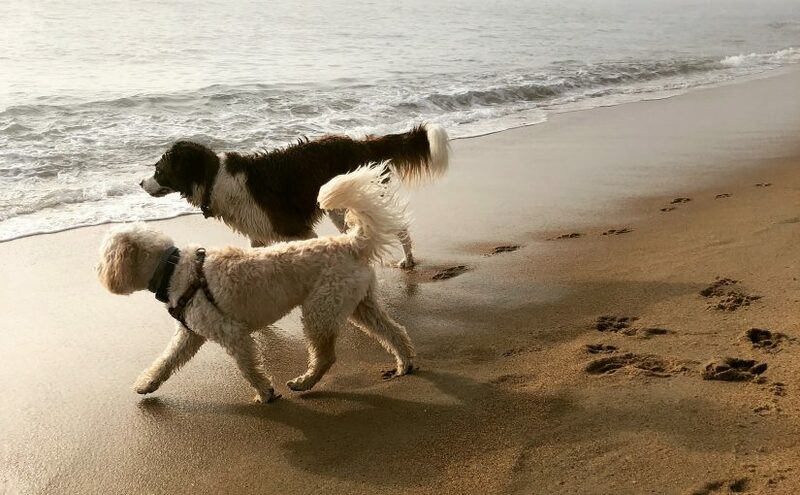 Today we send along a great Memory Monday photo from one of our guests who brought their 4-legged family members with them. 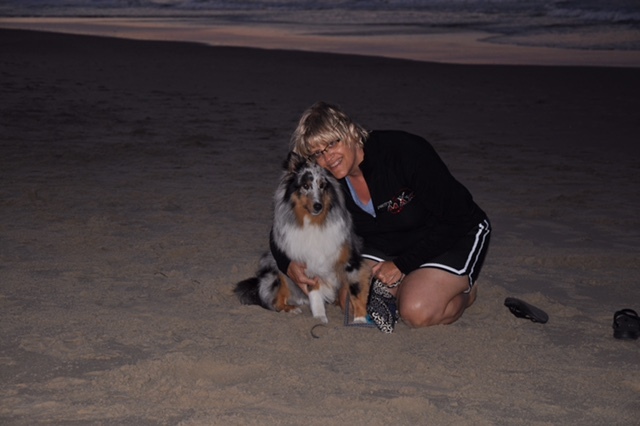 Elisabeth Daniel of Richmond stayed with us last summer and got this photo of her and her friend at the beach just after sunset. Keep in mind that Sandbridge Blue is the only company in the area that does not charge extra for you to bring your dog with you on vacation. We also have a large selection of houses that accept your pet as one of the family, and after all aren’t they a part of the family?! We look forward to serving you and ALL of your family soon.